First off, I changed my cover...for the millionth time. I love having these 3 gorgeous options. I have them all on my planner. The second option is under the top cover and I still have the third cover on the back of my planner. 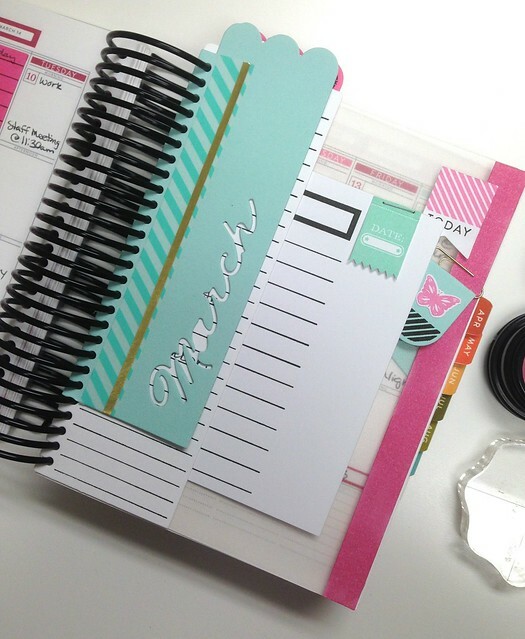 I am sharing what my current week looks like and the coordinating March colors. Hibiscus Burst, Aqua Mist and Autumn Rose. Here is the first layout. 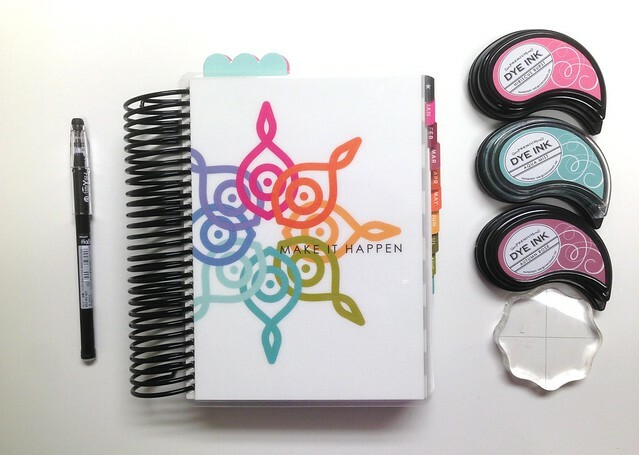 I used the new Moments Inked Box dies on this page. When I drew this concept up, I thought it would be nice to have a die that would fit the box. I have had times where it I have changed plans and just needed to start over. These dies help with that. 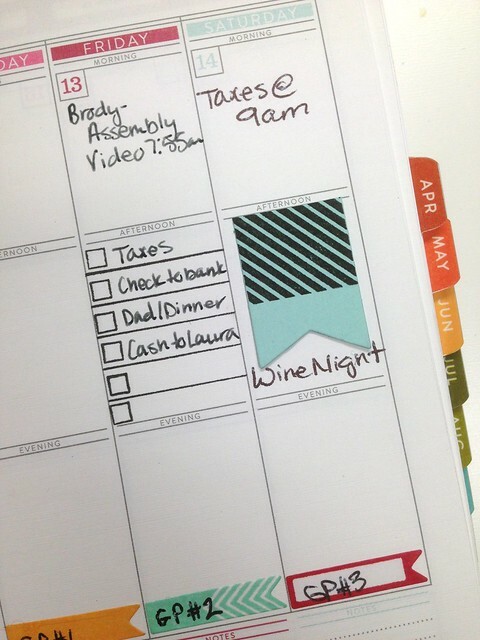 You can cut them out of a post it note to add to the day or part of the day. You can also cut them out of coordinating card stock. I cut the panel on the left out of an adhesive sheet and added in the little blooms from the new Clipsters set. I cut the largest box die out of Hibiscus Burst to cover all of Monday. 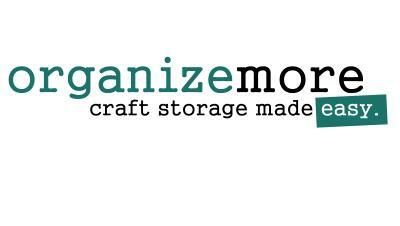 I just got back from a Crafty Weekend away on Sunday and knew that Monday was pretty much a giant to do list. I used the new set called Listed to add the lines on the box die. 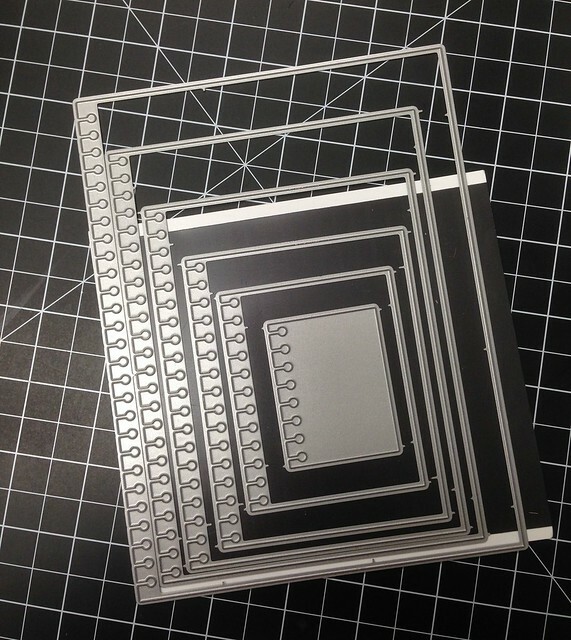 The scalloped die is a new divider die that is ready to go for you to make your own bookmarks/dividers. I added in some washi and a strip of gold adhesive to give it a little simple decoration. I also took the Monthly Moments March die and ran that through. 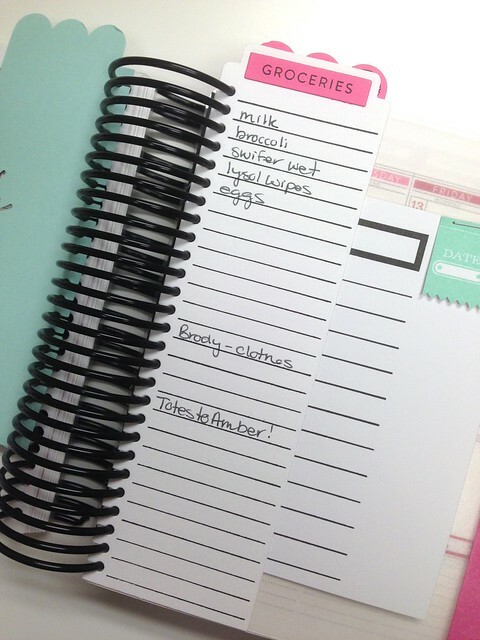 I am so excited to be able to create my own lists now too. I have told you before...I am a list maker. I drew up the concept for this set based on just that. And the coordinating die is so fun. Stamp the set of lines twice and you have a ready to go list. The best part? 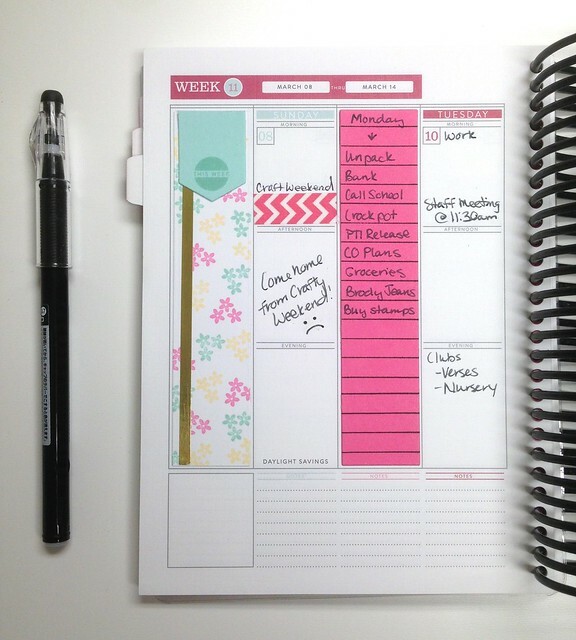 If its a grocery list, just keep a running list in your planner and pull it out when your ready to head in the store. 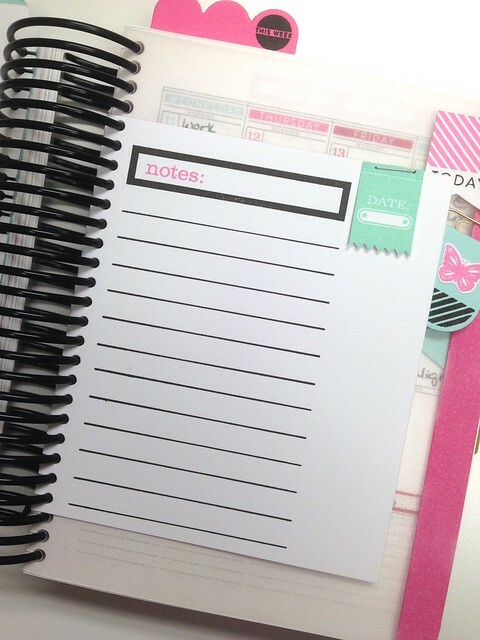 I made another note insert from last months set called Posted and one of the Basic Page dies. That date flag is from Journal Accessories. Another new addition to the Moments Inked line, is a large page die. 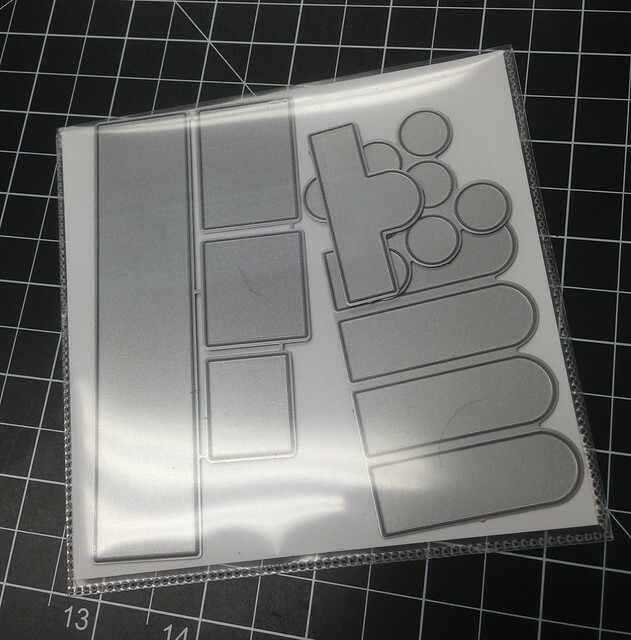 This page die comes with the divider I shared above and several small dies to make tabs and stickers. SUCH a fun addition! I cut this large page out of an old Cropper Hopper Divider. It works perfectly to move around. I added a strip of an adhesive sheet to give it a little color. I added 2 of the new Clipsters clips on the side of my page to be able to move around when I need them. My daily pages are being filled up. I just love jotting things down and then looking back to see all that I have collected. I made another divider for these pages. I used the new set called Divided to add "this week" to the top. Now my weekly pages and dailies both have bookmarks for easy access. You can always decorate these or leave them simple. Simple is easy! 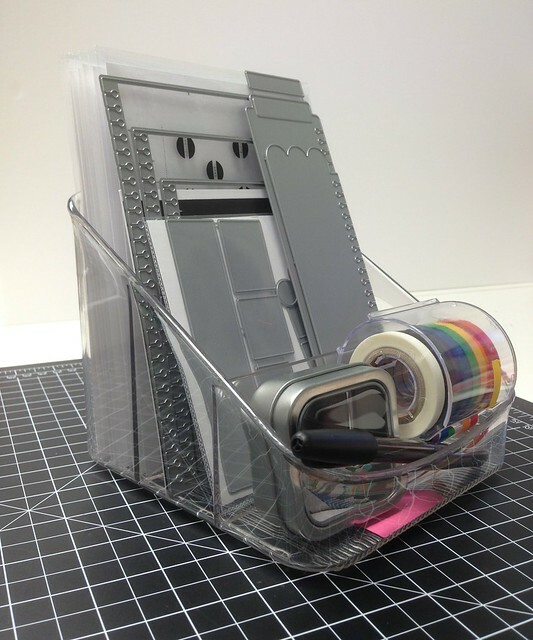 I store all of it, stamp sets and dies, in this Fridge Binz container right on my desk. Love that it is all right here. The little container in the front, is where I store all the pre-stamped banners. 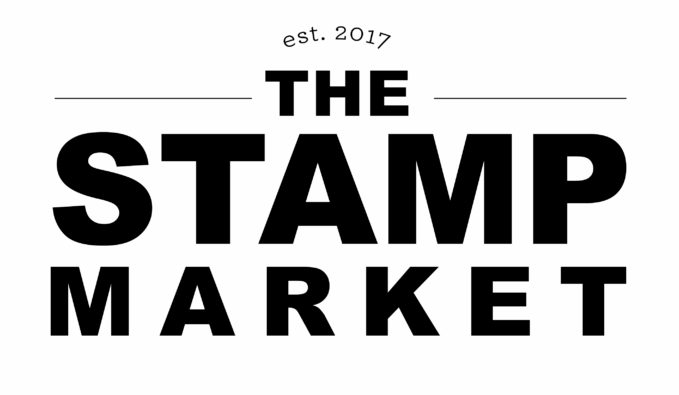 Ready to be stamped on! This new Moments Inked line is amazing. We are all mostly card makers and we love to decorate things. This has given me the chance to add a little decoration to my daily routine. And I get to look at it over and over, every time I open my planner. The rest of the Moments Inked Team will have some gorgeous things to share so stop in and say hi! 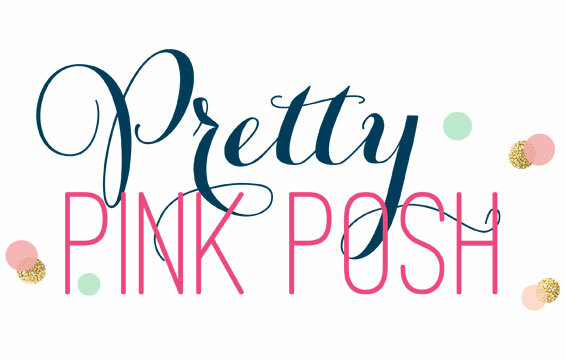 Stop over to Nichole's blog to see your next stops. Thanks so much for coming by today! Great ideas! I love the organization system for your desk! Wow - so much color...I love it!! Thanks for showing all the great uses for these new products!! 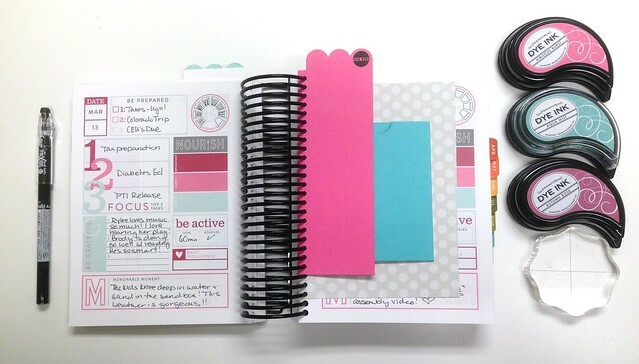 Your post convinced me that I totally need this planner. I just ordered it along with the divided die set and stamps. 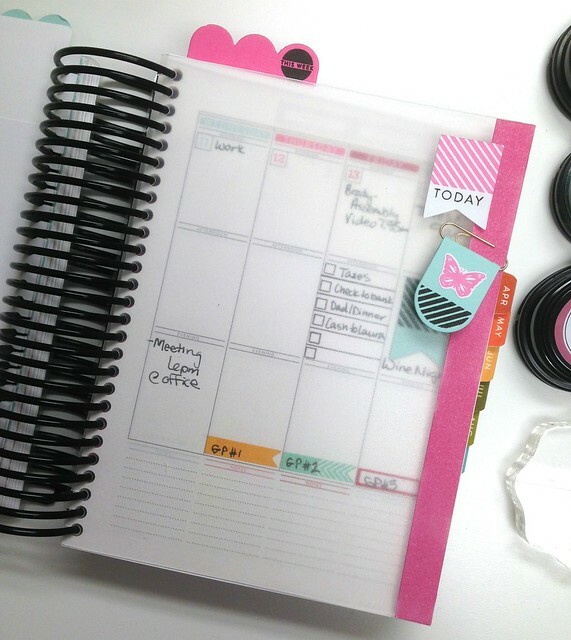 So excited to personalize my planner and put it to use! I look forward to your planner posts!! You rock lady!! 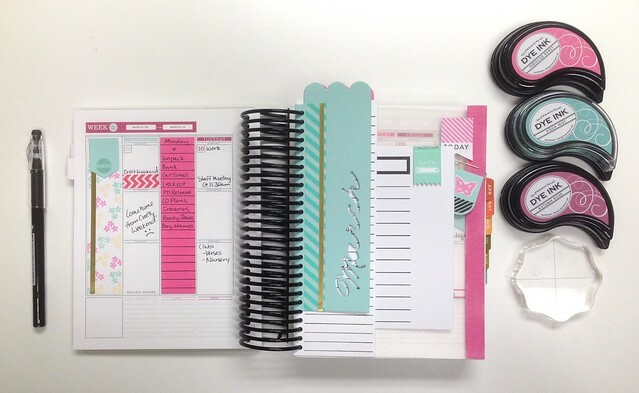 Laurie I am just getting started with my planner and am loving it! This post is full of more wonderful ideas and products! Thanks!